Help Documents - Version 5 The Registrant List (Manage your Registrants)How do I Bulk Delete registrants? 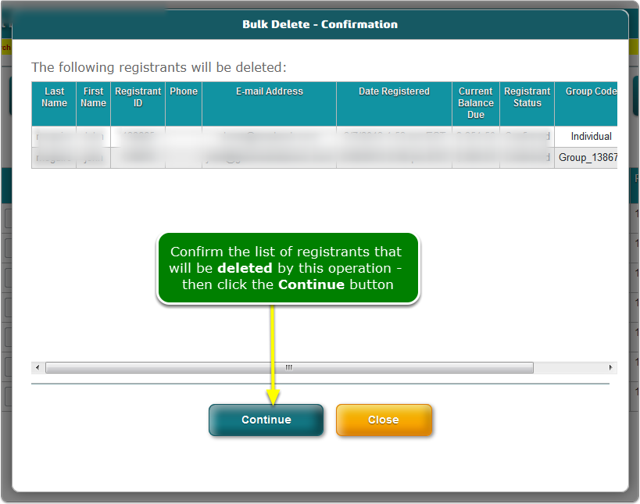 The Bulk Delete will delete a selected set of registrants all at once. 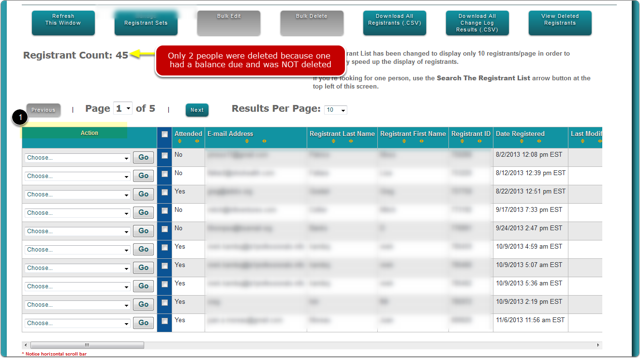 Each registrant deleted will be automatically added to the Deleted Registrants report. Registrants who have made payments cannot be deleted (Why? Its about the money trail). Note: Registrants who have made payments cannot be deleted - recommend: mark their status as Not Attending and exclude that status from your reports using a filter. 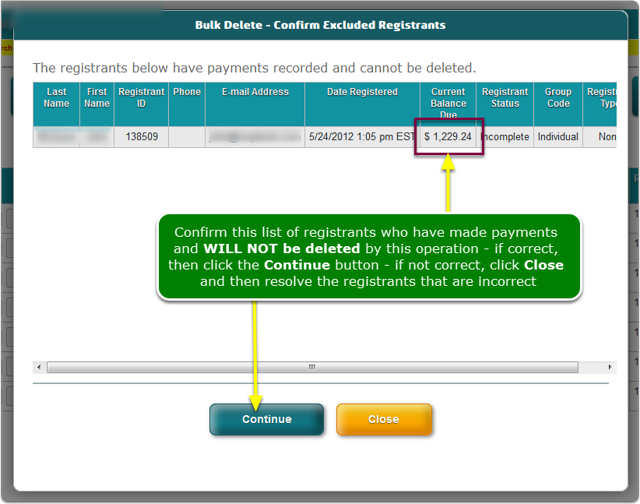 The Bulk Editor first checks to make sure you are not deleting registrants who have made a payment. If registrants with payments are found, the following screen appears and lists all registrants who WILL NOT be deleted. If the list is correct, click the Continue button. If not, click the Close button. 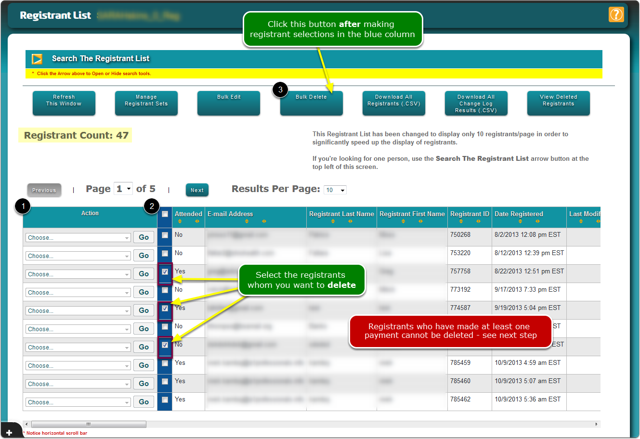 Visually, scan the list to make sure you want to delete the registrants in the list. There is NO UNDO for deleted registrants - How do I view deleted registrants? Prev: How do I Bulk Edit registrants? Next: How do I download registrant data?